Mike Sagman is the founder and managing editor of The Dog Food Advisor -- DogFoodAdvisor.com -- a popular review and reference website ranked #1 in its niche by Alexa.com, an Amazon company. The Dog Food Advisor was awarded its registered trademark from the United States Patent and Trademark office in 2015. 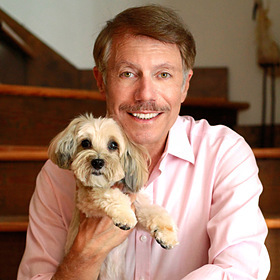 Dr. Sagman practiced Restorative and Cosmetic Dentistry from October 1975 to June 2014. Dr. Sagman is a member of the American Dental Association, Virginia Dental Association, the Peninsula Dental Society and the Southeastern Academy of Prosthodontics. He has received numerous awards for excellence by his profession. Dr. Sagman is a Fellow of the American College of Dentists, a Fellow of the International College of Dentists, a Fellow of the Academy of Dentistry International, a Fellow of the Academy of General Dentistry and a Fellow of the Pierre Fauchard Dental Honor Society. He is a 1975 recipient of the United States Army Commendation Medal for Meritorious Service to his country. Dr. Sagman has been recognized as one of "Virginia's Top Dentists" every year since 2010 by Virginia Living magazine. He has also been chosen by his peers to be honored by Hampton Roads magazine in its list of the area's "Top Dentists". Mike Sagman is the creator and editor of The Dog Food Advisor, an online publisher of independent ratings and reviews of more than 900 dog food brands. The Advisor also provides a searchable directory to help pet food retailers find customers actively looking for the products they sell. Board of Trustees, Williamsburg Music Association, member of Hunter B. Andrews Society for Public Broadcasting (WHRO), Past President of the Peninsula Academy of General Dentistry.